After a brief hiatus and change of ownership Freewheel Cargo is here to deliver goods, advertise and promote for your business. We have had successful promotional campaigns this Spring on the Eastside and Downtown Seattle, and are currently taking on advertising campaigns, as well as delivery and fulfillment through our SoDo warehouse. 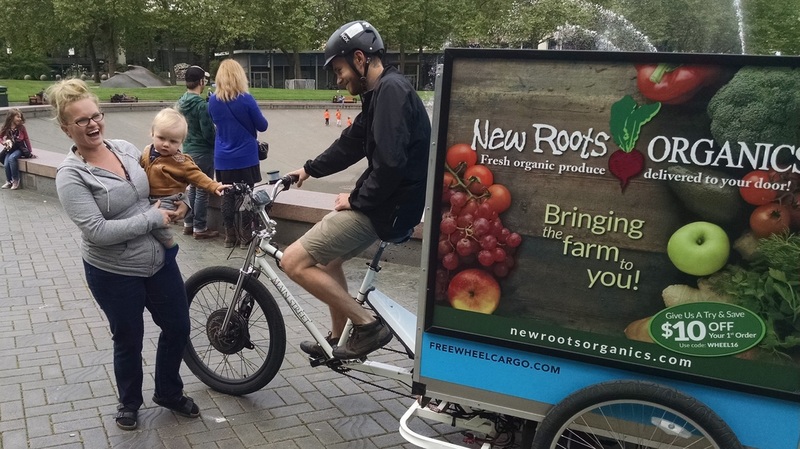 You will see our bikes out in force on Seattle streets, look for our big blue cargo bikes full of goods. Our bikes are environmentally friendly, and keep cars off the busy Seattle streets. This message of sustainability is one our company values. Not only is this delivery method green, it’s incredibly efficient in the downtown corridor where delivery trucks have trouble fighting traffic and parking. We are hoping to partner with organizations that value socially and environmentally responsible business practices as much as we do. Please use our contact form to ask any questions about the diverse services we offer. Check out one of our delivery drivers Elissa on a return trip from delivering delicious roast coffee beans. Three years ago I imagined a future with bikes handling a significant market share of urban deliveries. Bikes are zero emissions, reduce congestion and are simply a better solution for a range of urban logistics needs. My company, Freewheel Cargo (www.freewheelcargo.com), is a trend leader in this space. We handle deliveries for over a dozen companies in Seattle and we continue to expand. My core 'why' for starting Freewheel was to pioneer a carbon free sector in an otherwise incredibly carbon intensive industry. ​A huge thanks to our team and everyone that has supported my vision over the last three years. We're only getting started. It is incredibly hard to break through in advertising. That's why Freewheel is such an interesting and compelling option for reaching a highly desirable audience in Seattle. Here are what I believe are the top five reasons companies choose to advertise with Freewheel. 1 – We offer by far most hyper-targeted out of home platform – SLU, Belltown, Cap Hill, Downtown, Pioneer Sq. 2 – We get eyeballs like crazy. Our unique bikes get people to look/interact/even take pictures. 3 – Come on, what other advertising platform is actually fun and makes people smile??? 4 – Care about sustainability? We’re moving goods with bikes instead of trucks. What a cool, green, zero emissions mobile ad platform! 5 – A brand’s image on our bike is readily amplified, shared on social media. Right now we're booked through the end of the summer. So ping us for our rate card and to book space for this fall – dan@freewheelcargo.com. I love leading a company that enthusiastically supports community events and organizations. 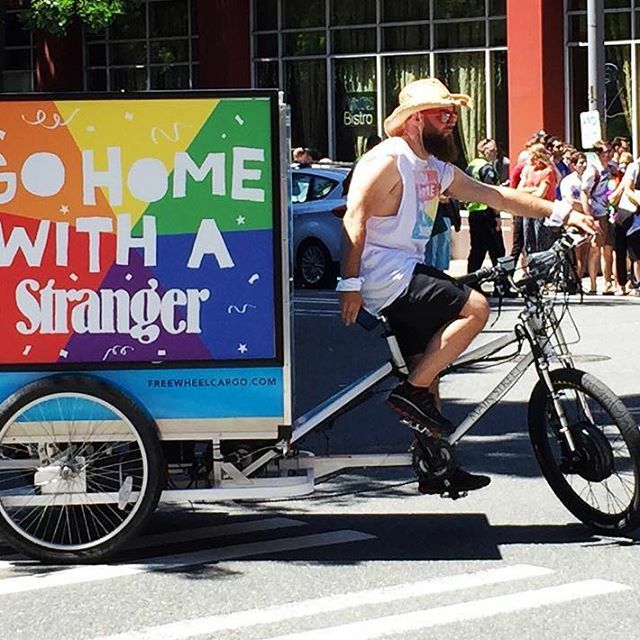 In June, we were honored to ride for the 2nd time in Seattle's Pride Parade. Two of our riders, Sam and Brad, had a blast riding in the parade and met so many wonderful. 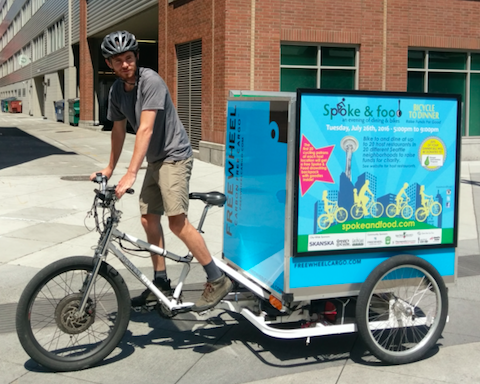 In July, we're sponsoring Spoke & Food, an evening of dining and bikes. By biking to dinner at participating restaurants, you can help support a great organization - Hunger Intervention Program - that focuses on food security for all. Please join us in helping to make a difference. We are incredibly excited to announce a new partnership with Guayaki Yerba Mate. They have an amazing story and a crazy loyal following among those that know them. 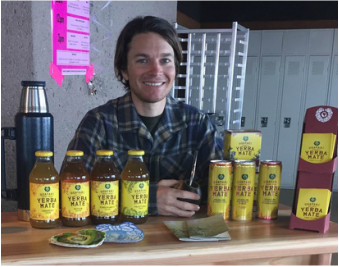 This summer, our brand ambassadors will help spread the word by introducing Yerba Mate to new fans in Seattle through sampling events at concerts, festivals and farmers markets. As we launch our partnership this weekend at Northwest Folklife Festival, I wanted to share a bit about their company and mission. Below is my interview with John Wright, their local Cebador. Dan: What’s the basic story behind Guayaki? 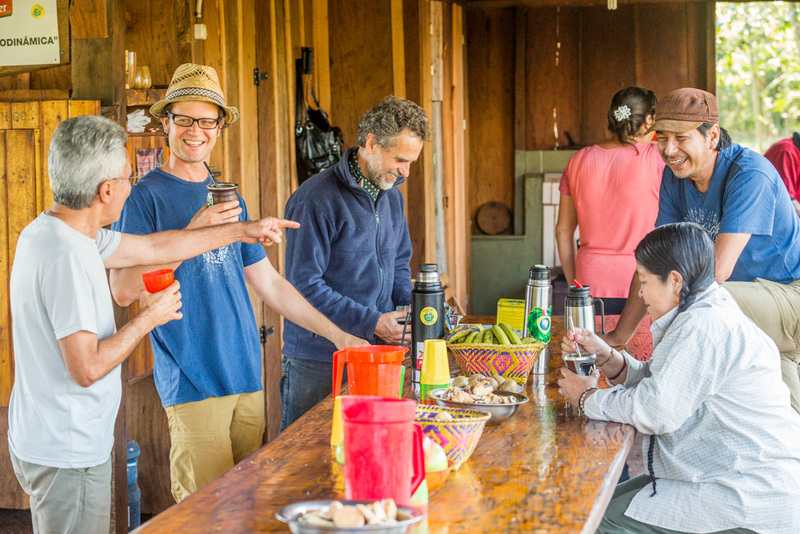 John: Guayaki was started in San Luis Obispo, California nearly 20 years ago. When David Karr was introduced to yerba mate by Alex Prior—an Argentinean (and so much more than that) attending Cal Poly in SLO. Alex and David brought this magical plant to North America and really introduced it to the market, they are pretty much the present day OGs of the North American yerba mate world. They started by importing loose leaf yerba mate and driving around in a series of RVs, serving it to people at farmer’s markets and natural foods stores. Now in the present day, we still have top-shelf organic, fair-trade certified loose leaf yerba mate, but we also sell RTD’s (industry speak for “ready to drink”) bottles, cans, sparkling cans, and even “shots” of concentrated yerba mate for on-the-go. The North American market has really embraced mate available in the ready-to-drink style. 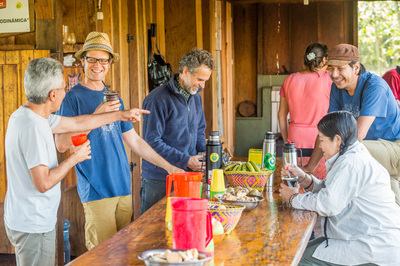 Since introducing the cans and bottles, Guayaki has seen widespread growth. 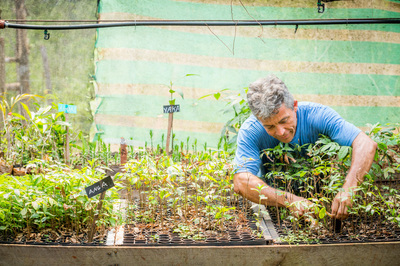 Guayaki’s entire business model is built upon “Market Driven Restoration.” Basically, what this means is that we work directly with the indigenous people of the South Atlantic Rainforest to preserve their forests. Unfortunately, the indigenous people such as the Ache Guayaki (where Guayaki’s name comes from) are given a brutal choice to sell their land to logging companies who will clear cut the forest and then it’s typically converted to pasture land for cattle. Once the cattle completely degrade the land, it’s then typically used for growing GMO soy or corn. When they sell the land, it’s gone and they get a one-time buy off. Guayaki is giving them, what I would call, a choice of hope and prosperity. 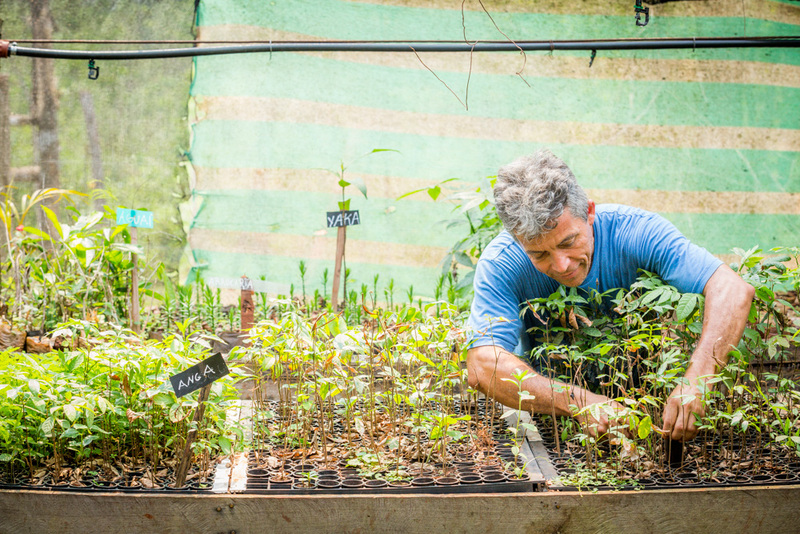 Instead of losing their land, Guayaki is enabling them to keep their land and gain income from keeping the forest intact. Yerba mate is a small tree or shrub that is native to the rainforest. 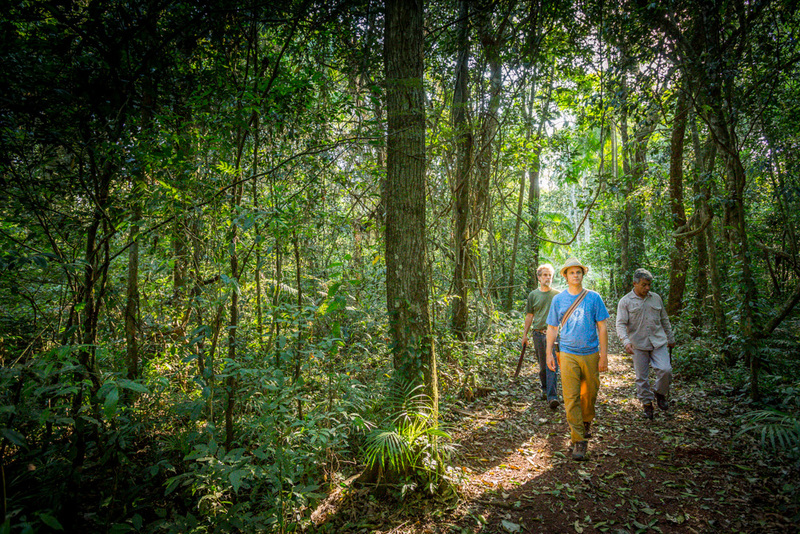 The leaves and stems are harvested and purchased at a “fair-trade” price by Guayaki. “Fair trade” essentially means that the people who produce a product are being paid a living wage which is typically about three times the market rate. Dan: For folks that aren’t familiar, why should they try Yerba Mate? John: Simply put: it makes you feel good. When consumed, yerba mate gives a really clean awareness without any crashing or jitteriness. It’s one of things that you have to try it in order to see what it’s all about. Dan: For fans, what kind of new products and offerings should they check out? John: You may have to find us at a music festival or a big gathering and meet us. I’m sure we will have something to share with you that you’ve never tried. It’s like a scavenger hunt! Dan: You seem to love working for Guayaki. What do you actually do? John: I am a Cebador. “Cebador” basically means “server.” That’s the core point and focus of my work. I serve yerba mate to all those who want to find out about why it’s such a magical plant. Sometimes that means doing account visits or setting up my bar at a music festival and putting cans in the hands of people in need of clean energy. Dan: How do you prefer your Yerba Mate? John: In South America, especially in countries like Argentina, they traditionally drink yerba mate using a gourd and a metal straw, called a “bombilla,” that has a filter at the end. Mate drinkers carry around a thermos with hot water and pour it over the loose leaf in the gourd. For myself, I have been pretty hooked on putting cloves, ginger, star anise, and turmeric in my thermos and pouring it over my mate. It’s pretty magical. I drink a ton of Guayaki Biodynamic yerba mate and that’s what I have in my gourd most days. One of the ways we establish partnerships is by reaching out to companies we love. That's how things happened with New Roots Organics. 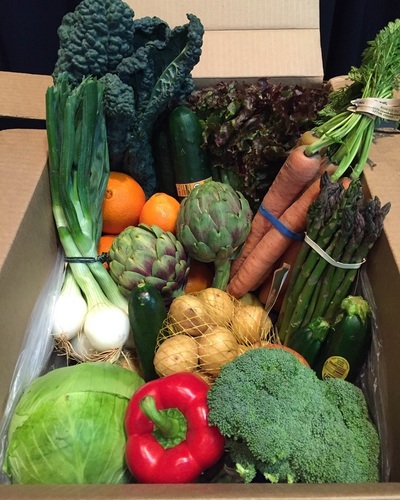 My co-founder Thomas has received their home delivered produce and other goods for quite awhile and is a big fan. He reached out to New Roots, struck up a conversation, and now we're handling some of their downtown office deliveries where congestion and parking are a pain for their delivery trucks. ​I asked New Roots Proprietor Carolyn Boyle to share a little background as far as the mission and history of this awesome Ballard-based company. What’s the story of New Roots Organics? 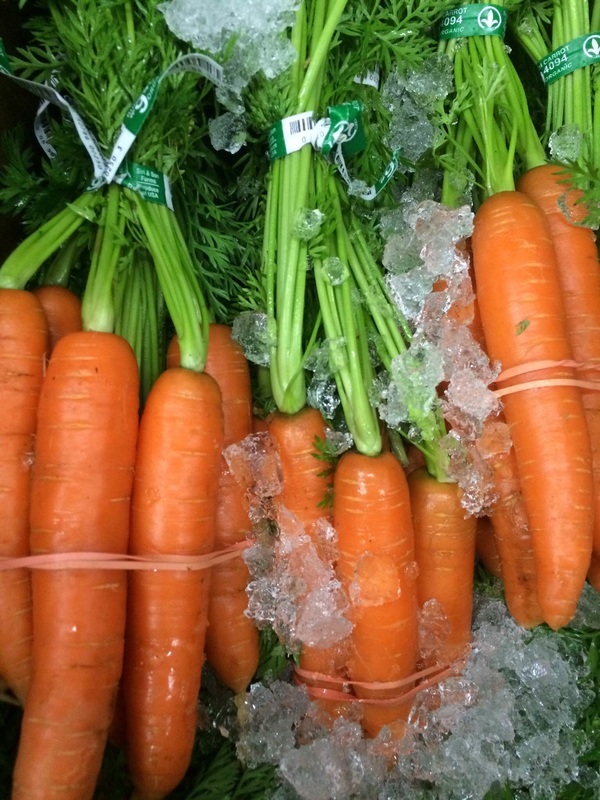 In 1998 I was selling wholesale organic produce in Vancouver, BC. Home delivery companies were popping up everywhere! So, I was learning the wholesale business and the home delivery business simultaneously. I started visiting Seattle regularly and fell in love with the city and saw the potential for another home delivery company. (there was one other at the time). I moved here in January of 1999 and starting delivering to my first New Roots customers on March 1st. The name has a dual meaning. New Roots of plant life, and new roots/beginnings for me in Seattle. What are some of your most popular items? Our most popular item other than produce, of course, is our pasture raised chicken and Duck eggs! They come from a 3rd generation farm in Start Up, Washington. They are the next best thing to having your own backyard chickens, and let's face it, not everyone wants chickens in their back yard! Among your most loyal customers, why are they such big fans? We still have customers who started back in 1999! 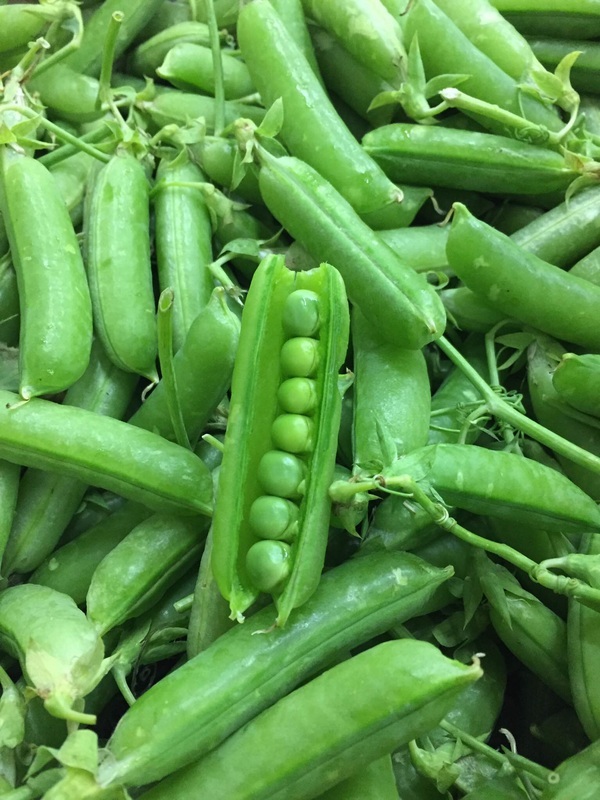 They tell us they love the quality of our produce, consistency, friendly customer service paired with the convenience of home delivery. Having the option to easily customize orders is also an attractive feature. 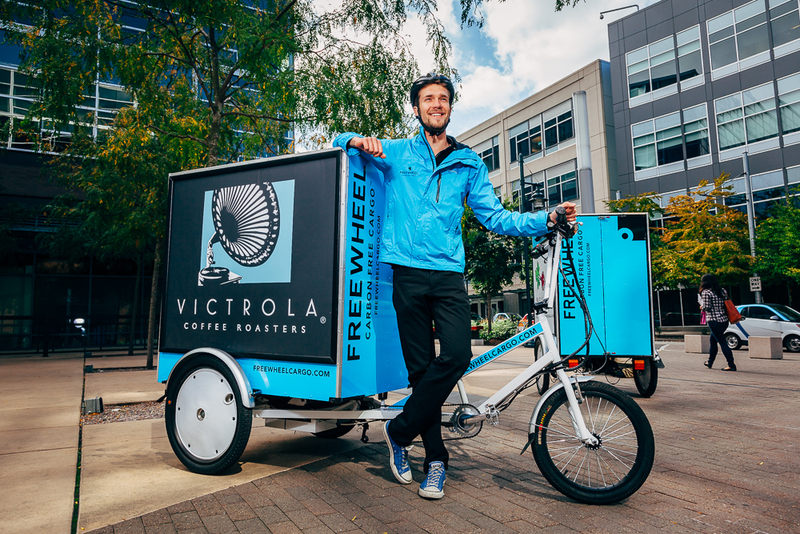 Why did you start partnering with Freewheel for delivery and advertising? 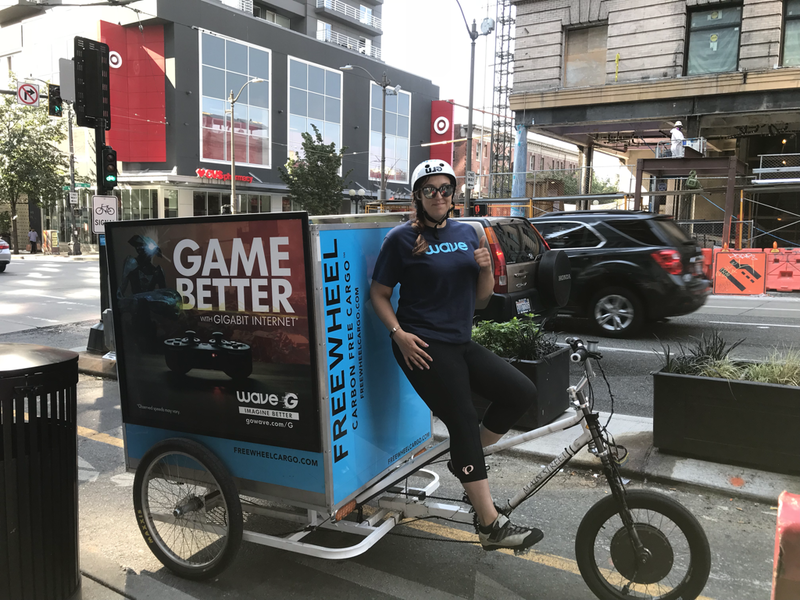 We started partnering with Freewheel for delivery because we saw Freewheel as a solution to the problem of time consuming downtown deliveries. Their bikes can deliver more efficiently than our large vans in a busy urban downtown. I was worried at first about the fragility of the produce and handling on the bikes, but they assured me they would treat every bin with the utmost care and they do! Freewheel drivers are very professional, reliable and are very respectful of the cargo they are carrying! Advertising on the bikes just makes sense! What better way to get your name out there than to have a stylish poster be driven around on a cool bike! It’s been a beautiful spring, what are you doing for fun outside? It has been a gorgeous spring! I have been enjoying the weather by hiking and running with my dog, and working in my yard. This new Portland Food Hub is truly innovative. As an urban sustainable food and distribution hub, it is solving critical scale, resource and delivery challenges within the local and sustainable food economy. Over the last two years I've talked with countless Seattle area growers and artisan producers and it's clear we could benefit from this model. I'm currently spending a portion of my time reaching out to policy makers and key folks working on livability, freight and congestion issues to lay the groundwork and vision for Seattle to embrace and lead with urban sustainable distribution. We may set up a roundtable soon. Let me know if you want to join the conversation. Seattle's Pronto bikeshare program is not yet a huge success in terms of ridership. That said, I believe it's absolutely worth investing public dollars to give it time to build out and grow. A vibrant, modern, sustainable urban city needs a variety of transit options including bikeshare. So I'm glad the city council took action to save the program and make it work better moving forward. This piece on the Urbanist blog is worth a read on how the Seattle Times has been unfairly critical of the program given the costs and benefits of bikeshare vs. other transit priorities. 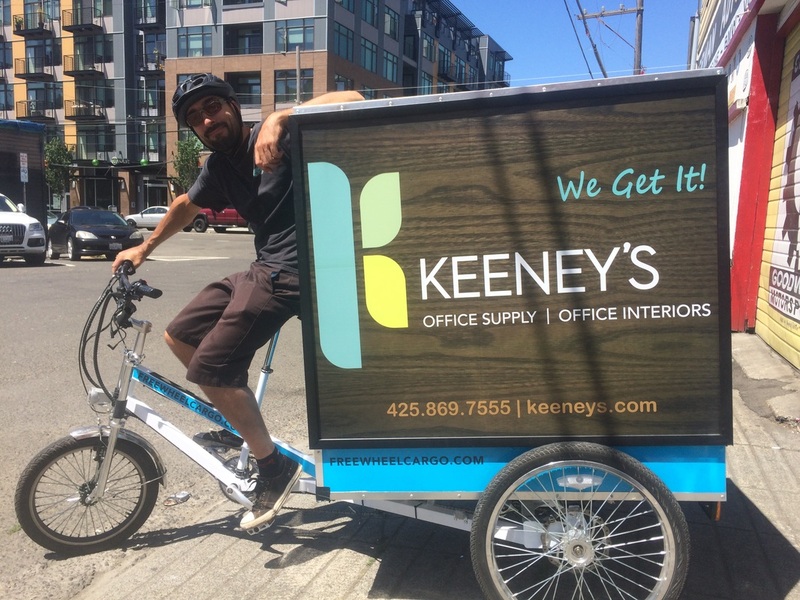 We've got a new partner, Keeney's Office Supply. They're a great local company with a strong sustainability commitment. You'll see our bikes on the road with their logo. And we hope sometime soon to carry their products. We're in discussions to see how to make a delivery partnership work from a logistics standpoint. We'll let you know if we get things set up. In the meantime, check out this post about Keeney's from Amber Jackson, their Marketing Manager. And let us know if you'd like to have your office supplies delivered by Freewheel. Your support can really help push a new program forward. I love Vancouver. It's a beautiful city with amazing parks, mountain views, great restaurants and more. I love it even more after reading this piece from Van City Buzz about how the city has embraced cargo bikes.